Home / Blog / Memphis Wood Fire Grills in WIRED magazine! For a magazine that only covers the newest and coolest technologies, we couldn’t be happier to be featured in their next issue. Read what they had to say about Memphis Grills below the image. There’s conflict in the backyard: On one side of the picket fence, charcoal purists enjoy the most flavorful barbecue. On the other, gas-grilling diehards bask in the glow of an ever-ready flame. But there’s a better way: wood pellets. Basically combustible BBs made of compressed sawdust, they impart that smoky wood flavor but fire up as quickly as gas. The Memphis Pro grill is the best way to burn them. A computer brain feeds pellets to your flame from an 18-pound hopper—enough for 12 hours of grilling and even longer at lower temps. Searing a steak? The Pro will blast up to 650 degrees Fahrenheit of Maillard-inducing heat. Smoking a brisket? The grill will maintain a constant 250 while you sleep. Pretty cool, huh? Just another sign that the pellet grill revolution has begun! 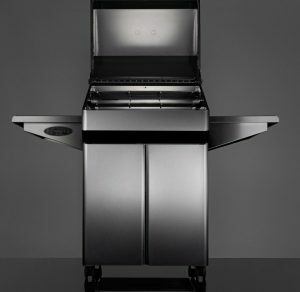 Read about some of the other grilling products WIRED covered here.